Avid birdwatchers have spotted an incredible 850 bird species – that’s 10 percent of the world’s total avian population! To put that in perspective, Costa Rica is home to twice as many bird species as the U.S. and Canada combined – that’s double the species in a country 389 times smaller. 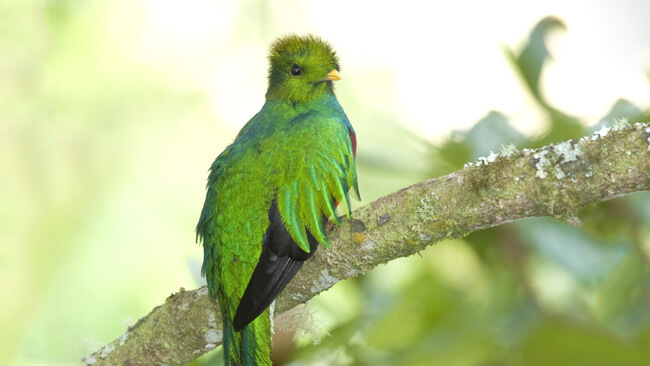 It all adds up to spectacular birdwatching opportunities, with prized spottings of resplendent quetzals, scarlet macaws, keel-billed toucans, bare-necked umbrella birds, and about 50 species of hummingbirds. Brilliantly colored and impossible to miss while in flight, both the Scarlet and Great Green Macaws can be seen in parts of Costa Rica. There are 2 species of hummingbirds that are ONLY found in Costa Rica; the Mangrove Hummingbird, and the Coppery-headed Emerald.